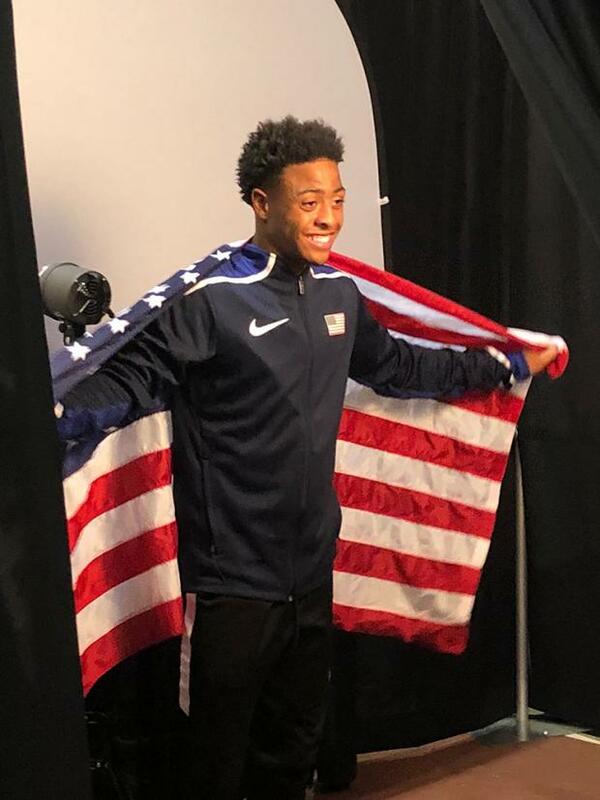 The Sophomore sensation who has already had a phenomenal year, had another spectacular weekend at the USATF Junior Outdoor Championships. In prelims Robinson posted a new PR of 46.53, which is the fastest time ever ran in the 400m by a Missouri High Schooler. This was good enough for a 5th place seed heading into the finals on Sunday. In the finals he ran another blazing PR of 46.20, which placed him 4th. The top 2 finishers are both Division 1 College runners at Baylor and Arizona, and the third place finisher just graduated high school, so Justin was far younger than his opponents. His 4th place finish though puts him in the 4x400m relay pool for team USA at the U20 World Championships in Finland next month. Congratulations to Justin on such a outstanding achievement. All of us here in Missouri wish you good luck in Finland! 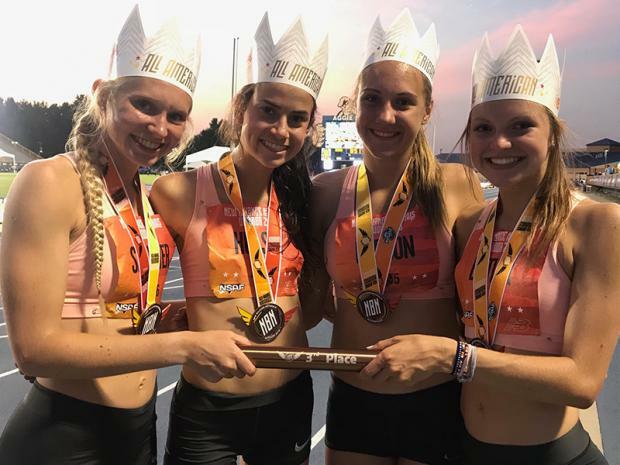 The Girls from Lee's Summit West took their talents to North Carolina this weekend for New Balance National Outdoor Championships. Their 4x800 team of Sophomores Audrey Parson (2:17.08), Madison Hulsey (2:12.34), McKenna Butler (2:19.72), and Senior Jana Shawver (2:09.59) took third overall from the slow heat with a time of 8:58.74. That makes them the first team from Missouri to break 9:00, and is 8 seconds faster than the 2nd fastest time in Missouri that Parkway Central ran back in 2009. Congratulations to these ladies and coach Jesse Griffin on the remarkable achievement.